Austin Medical Group (Austin) - Book Appointment Online! 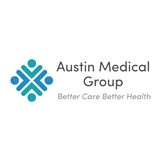 With a highly trained, caring medical staff, Austin Medical Group provides a wide range of highly regarded medical services to patients age 12 and up. The group focuses on disease management, prevention, and health maintenance plans. They also offer immigration physicals and travel medicine. The Austin Medical Group’s highly trained staff works hard to make each patient’s experience comfortable and well-tailored to their individual needs. Insurance not accepted: Ambetter, Ideal Care, Sendero, or Medicaid.